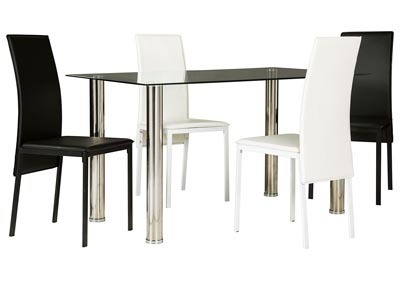 Pack a style punch into compact dining spaces with the Sariden dining room set. 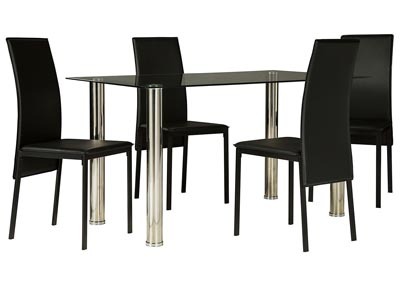 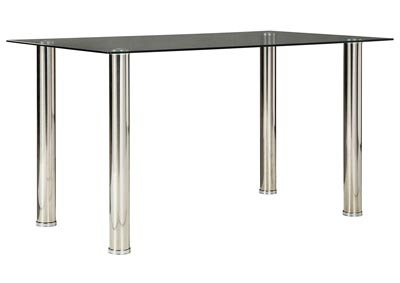 Small but mighty, the dining table contemporary linear design is crafted of durable, chrome-tone finished metal legs. 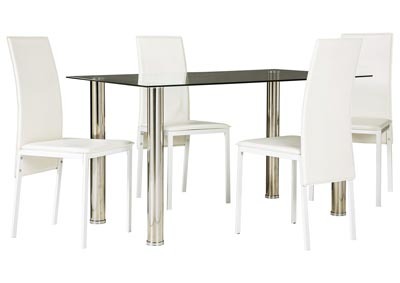 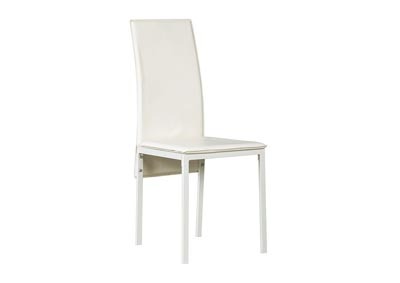 The tempered glass tabletop reflects light beautifully, making your space appear larger.The dining chair contemporary linear design is crafted of durable, powder coated metal and . 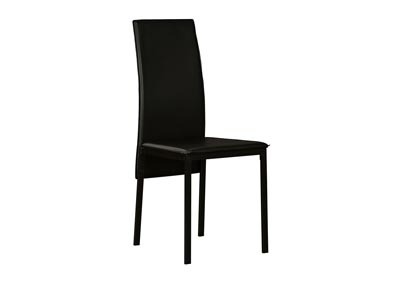 Elongated back with padding provides extra sitting support and comfort. 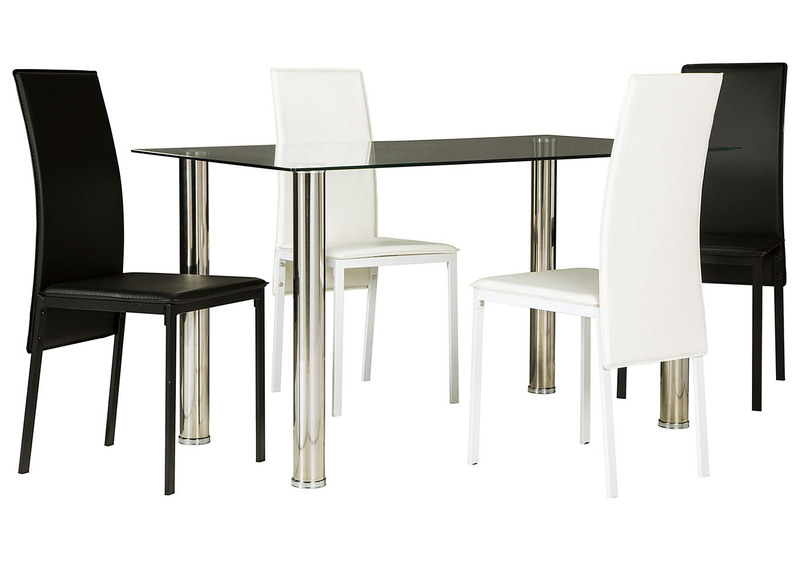 Faux leather upholstery adds upscale appeal to your home.